Hectic negotiations are on in groups of villages in south and central Gujarat as senior officials of the Indian Railways go from village to village in an effort to convince them to sell their lands to the railways for building India’s first high speed train network that will see Japanese bullet trains running from Ahmedabad to Mumbai within the next few years. The project, a pet of Prime Minister Narendra Modi, has been conceived in collaboration with Japan, which will set up the entire infrastructure and provide the train rakes to be run on the 508 km network at the top speed of 350 kmph. The entire project is expected to cost over INR 1 trillion (EUR 13 billion) and is slated for completion in the next three years. To expedite the work, the Indian government has set up the National High Speed Rail Corporation Limited (NHSRCL) as a joint venture with the participating state governments of Maharashtra and Gujarat. The bullet train may place India in the exclusive club of 15 nations with high speed rail networks, but it is also expected to sharpen the contrast between modern railways anywhere in the world and the rather pitiful state of the Indian Railways in general. The author remembers vividly an overnight train journey from Ahmedabad to Mumbai after a tiring business event. The prize of a typical Indian rail journey came with delayed departure, over three and half hour late, as well as the absence of water in the toilet in the early morning hours, presence of people without tickets in the reserved compartment and a near total absence of food, beverages and other amenities. Earlier scheduled for completion by 2023, the project is now expected to be ready by August 15, 2022, the 75th anniversary of Indian independence at the request of the Indian government. 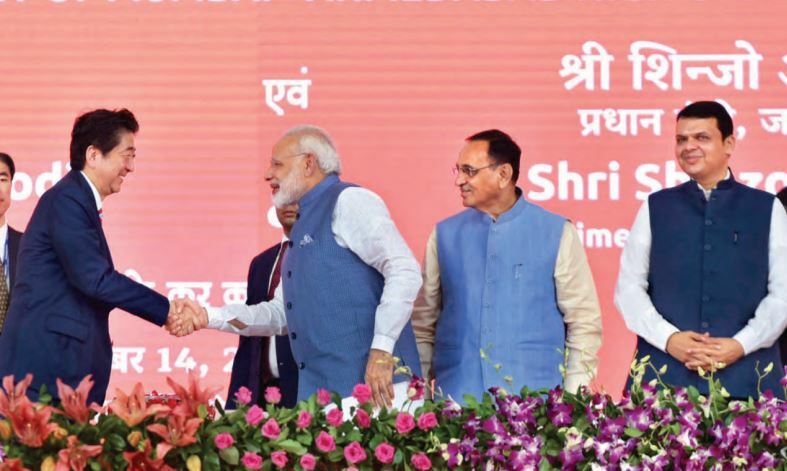 The total cost of the Ahmedabad – Mumbai HSR project, about INR 1.1 trillion (USD 15 billion) includes the construction and procurement costs, consulting service fees, land acquisition costs, administrative costs, and other contingencies. A large chunk of this is through a softloan by the Japanese government at a very low interest rate. “The Indian funding involves land, utility relocation, project affected persons (PAP) resettlement and taxes; the rest of the amount, as much as 81 pc will be funded by Japan,” says Achal Khare, the managing director of NHSRCL. When the NHSRCL submitted its first annual report in 2017, the chairman of its board of directors, Ashwani Lohani was very optimistic about the mission and vision of the project. “The project would also boost the infrastructure and add to the growth of the economy,” he wrote in the report. The project has, however, run into difficulties over land acquisition, mainly in Gujarat, with many farmers and rural landholders opposing the terms of acquisition. The government says it is still confident of keeping up with the revised schedule of completion within the next three years and the flagging off of the first bullet train in August 2022. The government also says that the project is expected to boost high technology and precision manufacturing, including manufacturing of the rakes of bullet trains under licence from Japan in order to cater to the domestic as well as overseas markets. Initially, India is set to buy 18 such Shinkansen trains from Japan for INR 70 billion (USD 1 billion). ‘‘We have proposed to the Japanese side that they help us with the technology to make the bullet train coaches locally. Once we do that, we can build the coaches at a much lower cost. In fact they would be the cheapest in the world,’’ Rajesh Agarwal, a senior member of the Railway Board told media recently. He added that the Modern Coach Factory in Uttar Pradesh was well equipped to produce the coaches. 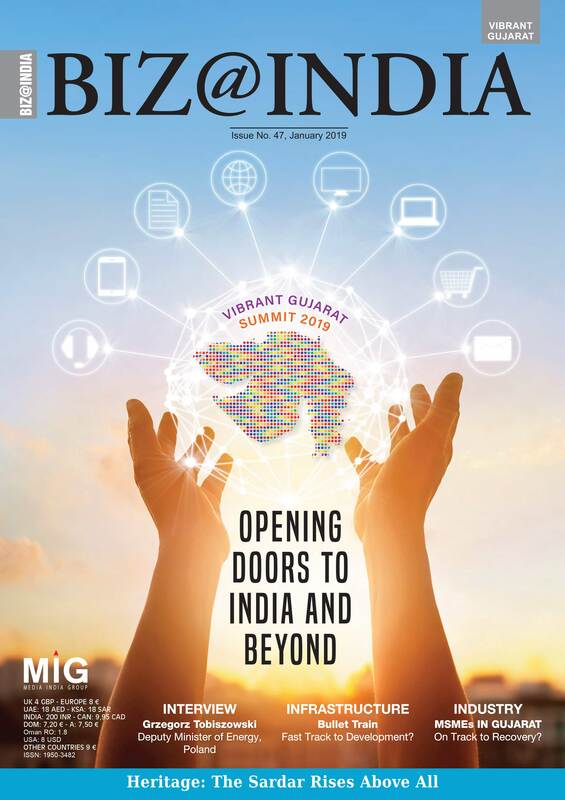 ‘‘Add to this around 150,000 skilled workers, 50 railway workshops and around six production units that railway has at its disposal,’’ Agarwal said. The Japanese have said that the discussions about local manufacture are going on, though a final call is yet to be taken. The railway officials maintain that globally it has been observed that introduction of high speed train network boosts investments and leads to a much higher economic growth in the areas serviced by the network. Citing the Japanese example, they say that in Japan, with the arrival of bullet train network, earnings have increased drastically. If the normal growth was 60-70 pc, the growth in areas where highspeed rail runs reached 150 pc. “The overall area gets developed. That opportunity is there in India too. I am hopeful that in addition to the bullet train per se, transit oriented development will happen along the route. A number of hubs will come up. I hope that Virar will get developed into a major hub, because it will have connectivity with Mumbai with hardly 27-28 minutes distance. Boisar is another area that can come up as another major commercial hub. The project also has an element of Make in India. The industry will benefit because of that. We hope that a number of joint ventures will take place,’’ says a senior official of the Indian Railways. Ever since the bullet train project was announced, opinions have been sharply divided over the utility of high speed rail for India and whether the massive investment of INR 1.1 trillion (USD 15 billion) was worth for a single track instead of upgrading and modernising a much bigger part of the railway infrastructure in order to ensure that many more users benefit from it. “The amount being spent on one track is good enough to overhaul the entire existing network of the Indian Railways in terms of modernisation of signalling and safety equipment,’’ remarks a critic, while another says that instead of having one train travelling at 320 kph, the government should have ensured that trains like Shatabdi or Rajdhani that connect major business hubs and metros could travel at a higher speed through upgradation of the existing track. “That would benefit millions of passengers, instead of a few thousand who would travel by the bullet trains on the MumbaiAhmedabad route,’’ they say. Another challenge for the high speed networks, not just in India, but around the world, is the economic viability or profitability as almost all such networks, around the world, are loss making. In many countries, the HSRs are already bringing in huge debt crisis. The December 2009 debut of China’s first long-distance high-speed rail service, covering 1,100 km, between the southern city of Guangzhou and Wuhan in central China in just three hours, have already saddled China Railway and other state-owned enterprises with huge amounts of debt. According to Li Hongchang, a transport expert at Beijing Jiaotong University, as much as 80 pc of the company’s debt burden is related to HSR construction. For critics of China Railway, the HSR network is a debt crisis waiting to happen, dependent on unsustainable government subsidies with many lines incapable of repaying the interest on their debt, let alone the principal. Four years into operation, KTX, the South Korean HSR loses to buses in convenience and price, and decided to shut down the high-speed rail line connecting Seoul to Incheon International Airport after just four years of service, as the expensive, politically motivated project lost the ridership race to buses. California is now reporting even greater cost overruns for its San Francisco-Los Angeles high-speed rail line. Originally projected to cost 45 billion inflation-adjusted US dollars, it is now expected to cost well over twice that much. Before any of the estimates were made, a University of California, Berkeley transportation engineer calculated that, even if the rail line cost only USD 15 billion to build, it would still cost less to fly or drive than to take the train. The biggest roadblock at the moment has come in the form of acquiring land in both the states, majorly from the resistant agrarian farmers and landowners. Despite an elaborate Resettlement Action Plan (RAP) and a subsequent Indigenous People Plan (IPP), a very little portion of the land has been acquired out of the 1,400 hectares needed. The Resettlement Action Plan prepared by Arcadis, a global consultancy firm reflects the magnitude of land acquisition impacts and the mitigation of impacts. The report also includes the baseline socio-economic characteristics of the Project Affected Households (PAHs) & Project Affected Person (PAPs), the Resettlement and Rehabilitation (R&R) policy provisions & entitlements, the outcome of the consultations held with the communities, implementation and monitoring mechanisms. India’s recent history with protests on land acquisition in various states does not send a happy note to any government. Farmers from rural India are making headlines every other day and interestingly intelligentsia from urban India waste no time to come forward in showing their solidarity towards them in most cases thanks to the power of social media. A group of farmers affected by the project have petitioned the Gujarat High Court, which has sought the government’s stand on the plea, according to court documents. The farmers have also questioned the government’s power to acquire farmland for public-private partnership projects. The farmers alleged that the Gujarat government diluted the Land Acquisition Act 2013 after the Japanese government entered into a contract with India for the bullet train project in September 2015, and the state amendment itself violated Japan International Cooperation Agency (JICA) guidelines.